Ghostview for Windows. Needs Ghostscript 2.6. Ghostview for Windows is a graphical interface for MS-Windows Ghostscript. 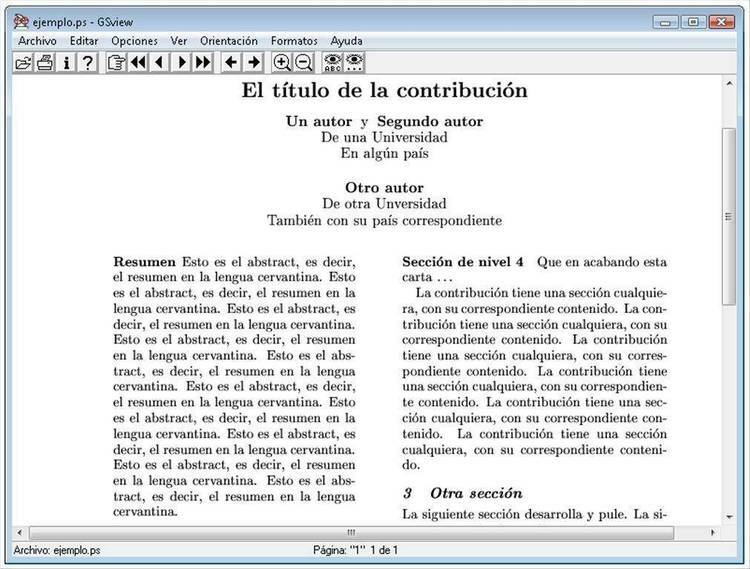 Conventions, Ghostview allows selected pages to be viewed or printed. Ghostview requires MS-Windows Ghostscript 2.6 or later. - view pages in arbitrary order (Next, Previous, Goto). - page size is automatically selected from DSC comments. - page size can be selected using the menu. - orientation is automatically selected from DSC comments. - orientation can be selected using the menu (Portrait, Landscape). - print selected pages using Ghostscript. - extract selected pages to another file. - copy display bitmap to clipboard. - save clipboard bitmap as BMP file. - graphically select bounding box for EPS file. - extract bitmap preview or postscript from DOS EPS file. - free (GNU General Public Licence). To compile Ghostview you need Borland C++ 3.1. Edit gsview.mak to point COMPBASE at your compiler directory. Copy gsview.exe and gsview.hlp to the Ghostscript directory. then from the Ghostview menu select "Options | Ghostscript Command"
and enter the correct executable path and include path for Ghostscript. Ghostview will run under Windows 3.1.
been done with Windows 3.0. If it works at all consider yourself lucky. See the on-line help for more details. This is Ghostview for Windows 1.0.
of Ghostscript, and the exact wording of any error messages. this to help locate the bug. ps.c module, Ghostview for Windows would never have been written. Ghostscript to support Ghostview for Windows.